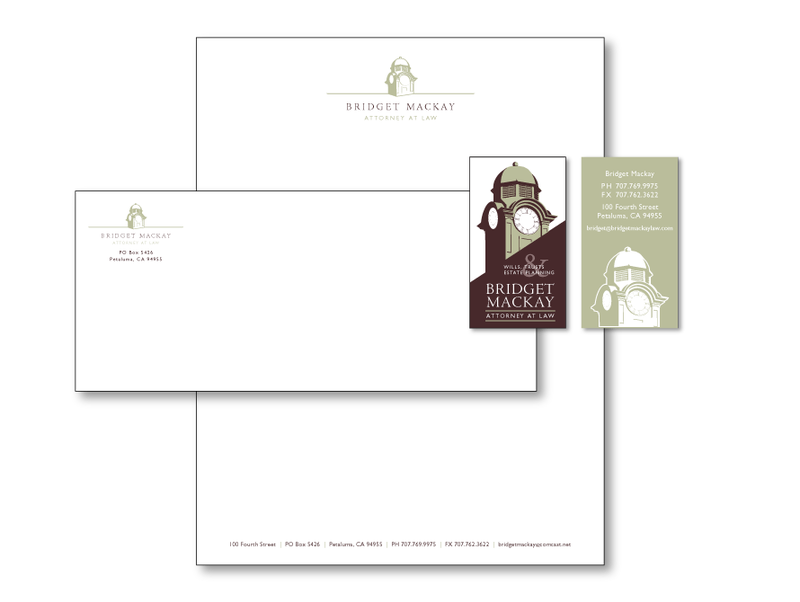 The Law Ofices of Bridget MacKay needed an identity they could use in print and web. 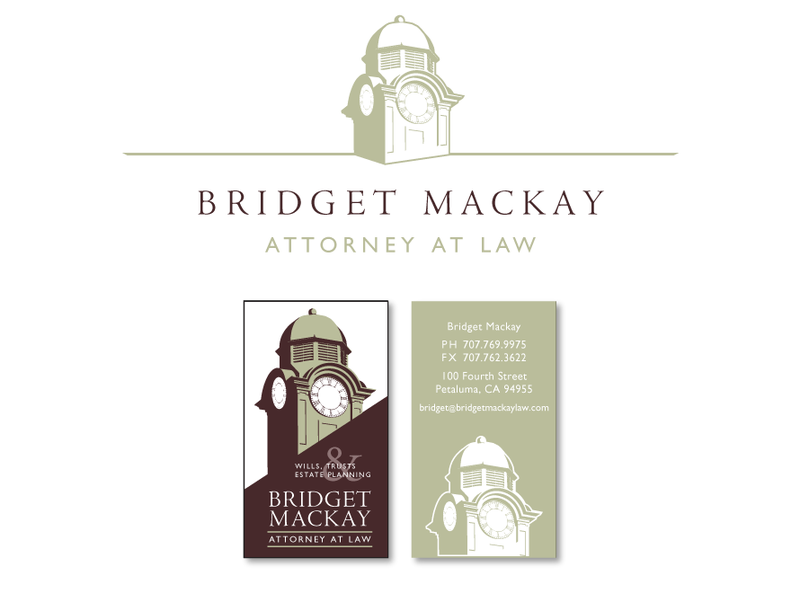 The Law Offices of Bridget MacKay approached me to develop an integrated identity for her growing law practice. 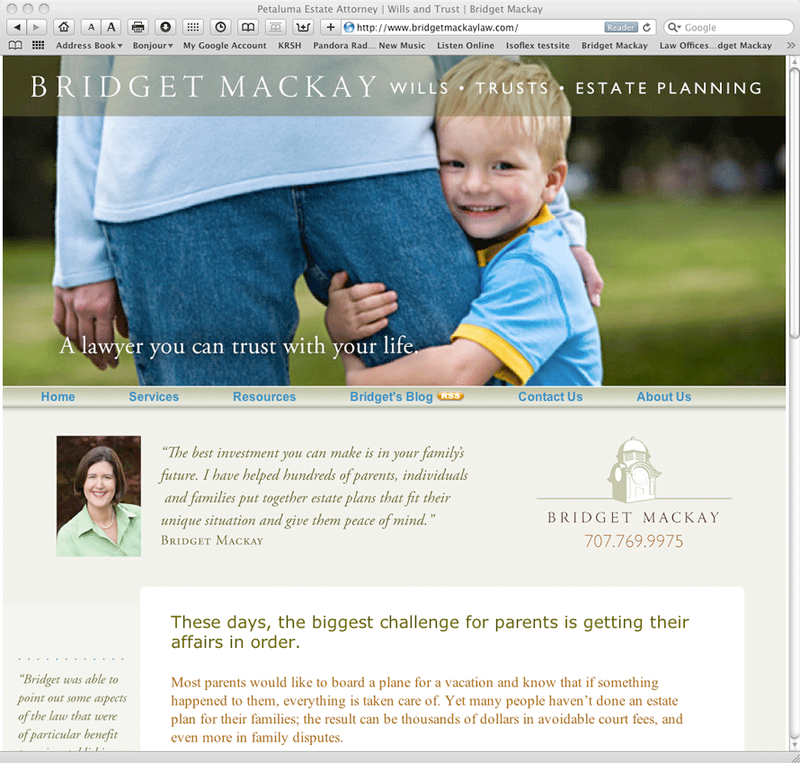 The future of her practice was to be focused on family law and needed to communicate to elders preparing to transfer their estates, adult children preparing and managing estates, families in dynamic legal change. 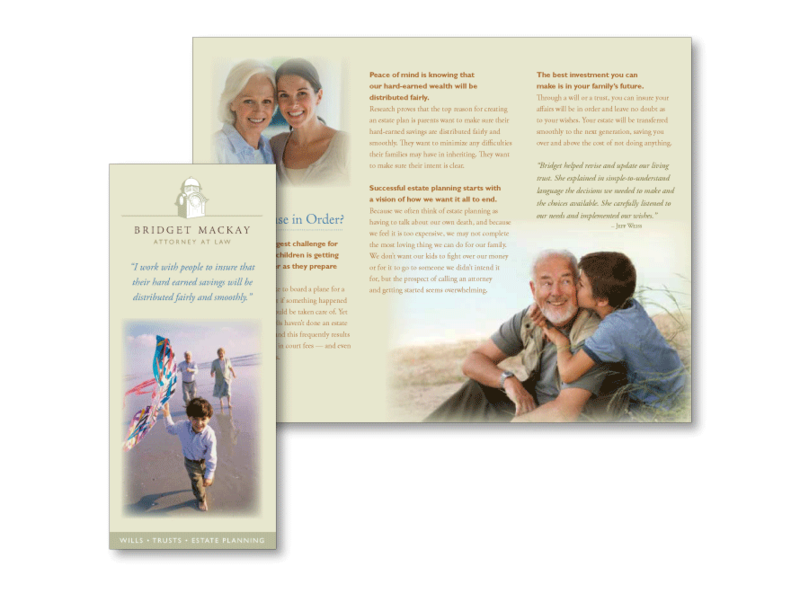 After listening to the client describe where she wanted to take her business, I added compassion and focus on her client's family. Be a freedzai Super Hero!